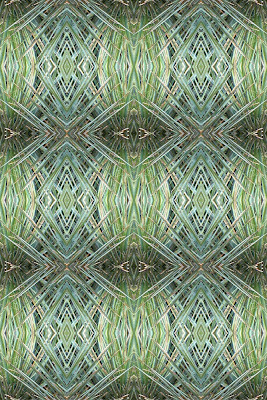 This pattern was created from a section of a photo of a yucca plant. These patterns magically emerge as we follow the process I have outlined before. I often feel that my job is to just get out of the way and let things happen.